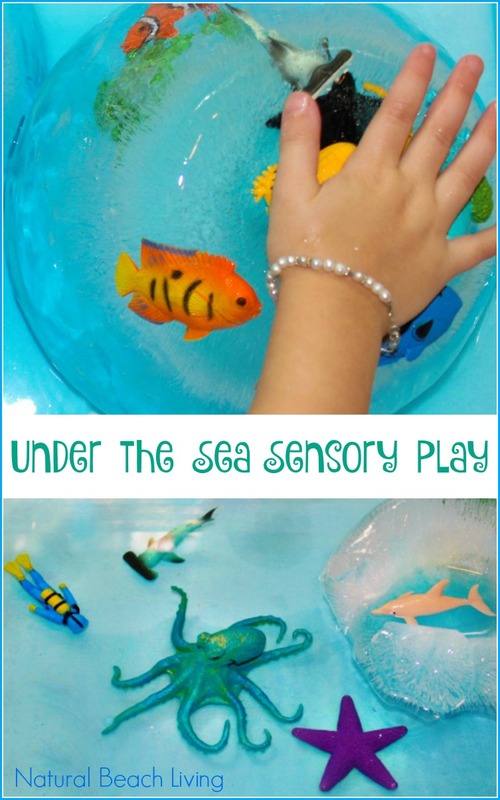 We love Under the Sea Themed Activities, and today we are sharing an awesome frozen sensory play experience. Sensory play has been a big part of our fun and our homeschooling. 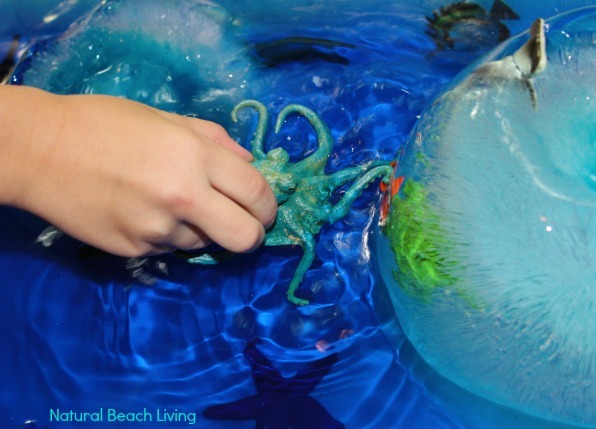 Kids love to squish, spray, splash, squeeze and even taste some of these fun sensory ideas. 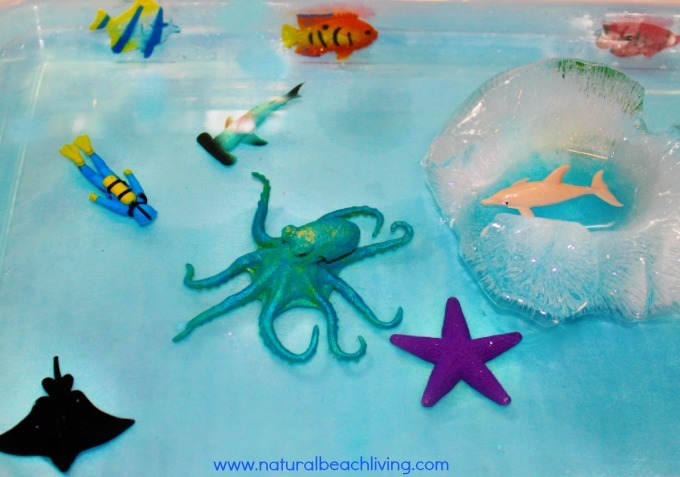 This frozen underwater sensory bin is sure to delight your children. 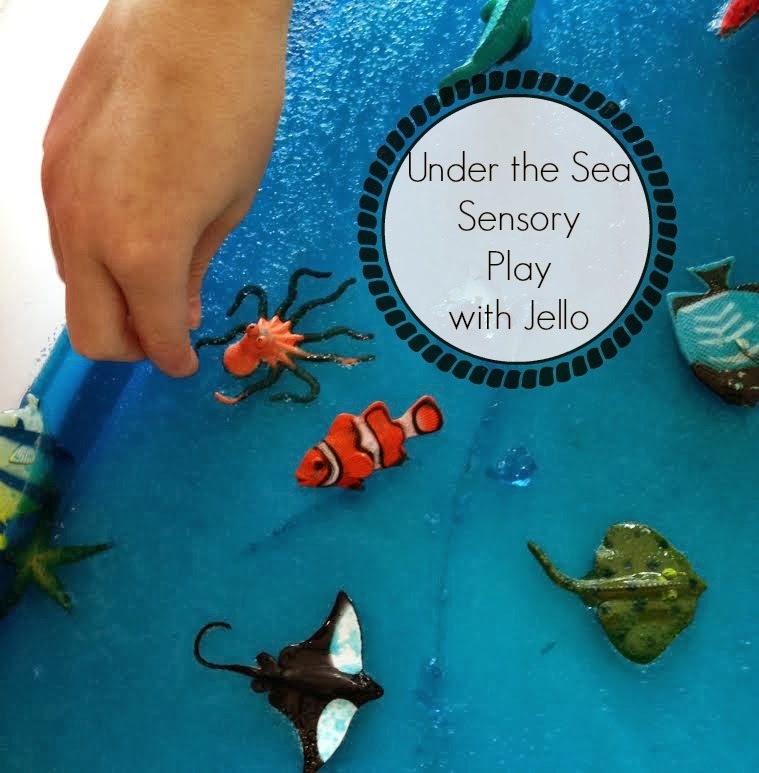 Bells was super excited about this Frozen Sensory play with Wild Safari Sea Life and the Coral Reef toob set. 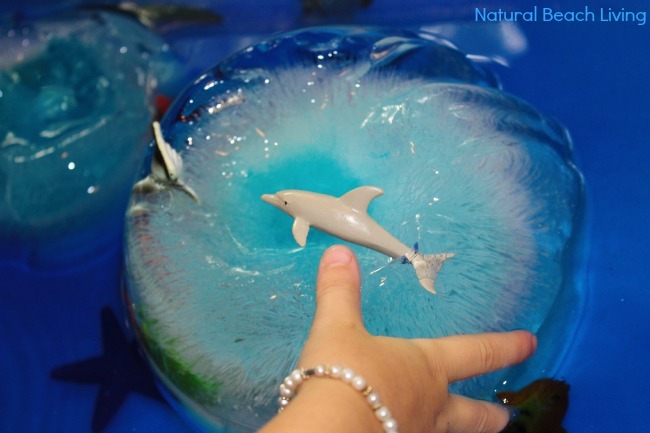 Her eyes immediately lit up and she couldn’t wait to spend the afternoon playing with this cool sealife sensory bin. 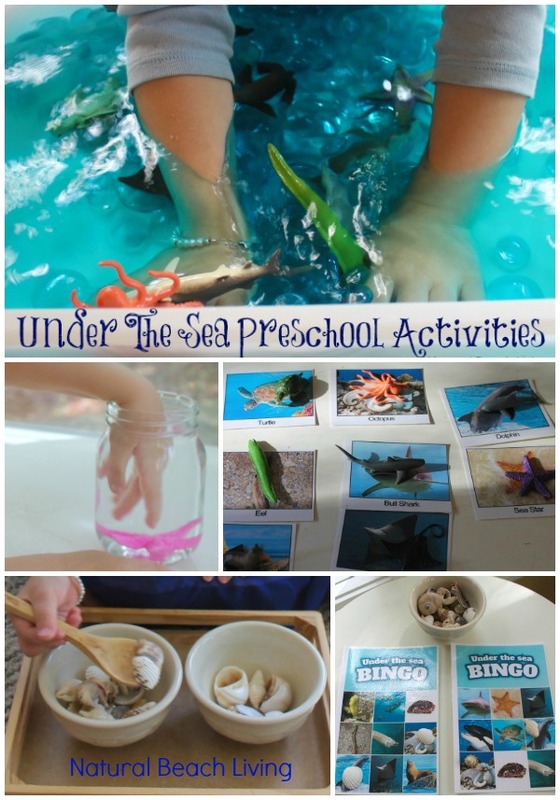 The kids thought this was definitely one of the best under the sea themed activities that we have done. Doesn’t it look pretty?! This is the coolest Octopus, and it is part of Safari’s NEW Line for 2016. The Wild Sea Life collection was designed with marine biologists to make highly accurate, and detailed educational toys. 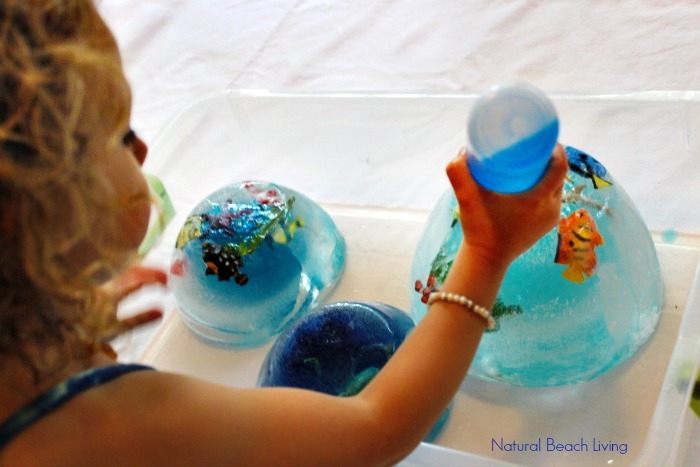 Sensory play is so much fun, and when you add water, ice and Safari figures it’s the BEST! Add water to a couple of bowls. 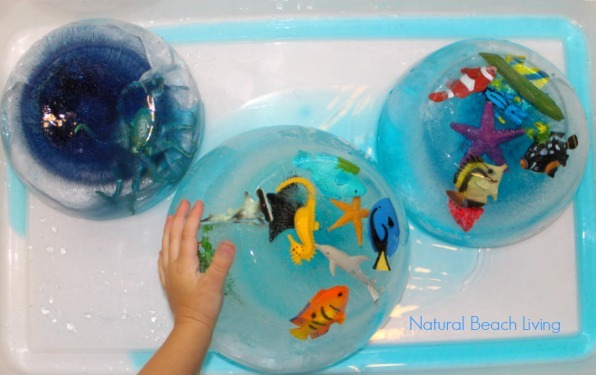 Drop in Safari toob animals and put the bowls in the freezer for a couple of hours (2 drops of food coloring to the water is optional). The container we used for this under the sea activity is an under the bed plastic storage container from Walmart (cost approx. $7 and I use it for everything). Give your children a couple of squeeze bottles with colored water for working those hand muscles and exciting water play. You are ready for playtime. Everyone will have fun with the new collection. 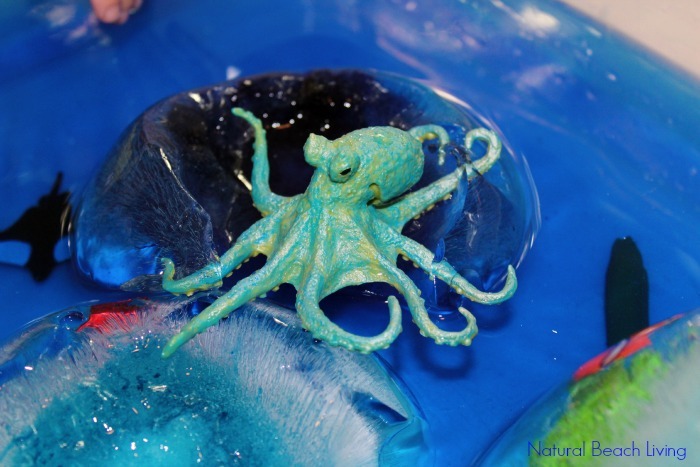 This Sea Life Octopus is super cool and the kids love it. What do you think? Are you ready for frozen sensory play? It’s awesome and your kids will love it. Check out all of the NEW Safari Ltd. Products Here. What a fun time! My kiddos have had so much fun as we’ve frozen their Safari Ltd figures. Lol. Great activity!